There are scare ads, and then there’s the threat of bunking with a dog-collar wearing, droopy-eyed (and droopy-tongued) ex-con named Mongo. Nice work, Cary-Pick! 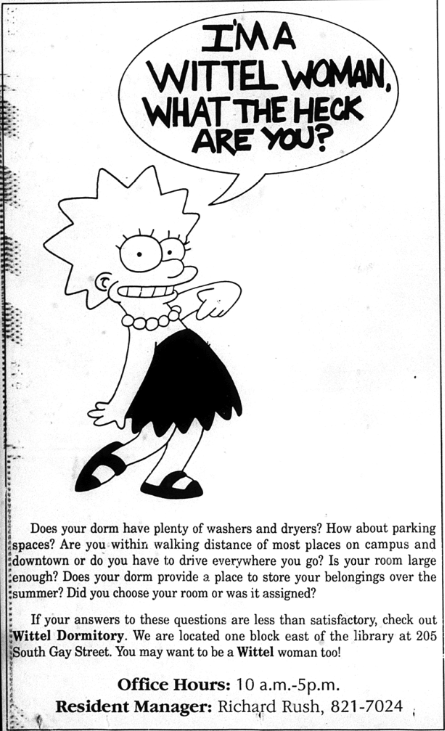 But sorry, you weren’t the only Auburn realty company riding that Simpson’s wave with your Plainsman advertising in 1991. Little known fact: Lisa Simpson is a Wittel Woman. Related: Remembering the ‘Burger That Made Auburn Famous’ in 1991. Do you never want TWER to yield? Do you have $5 a month? I might’ve worked on that ad! I worked at the Plainsman during that time. So fun to see the old typesetting and images. woo HOO! Wittel Women represent!!!!! Had to giggle at the Vamp description! Too funny, thought I recognized this. 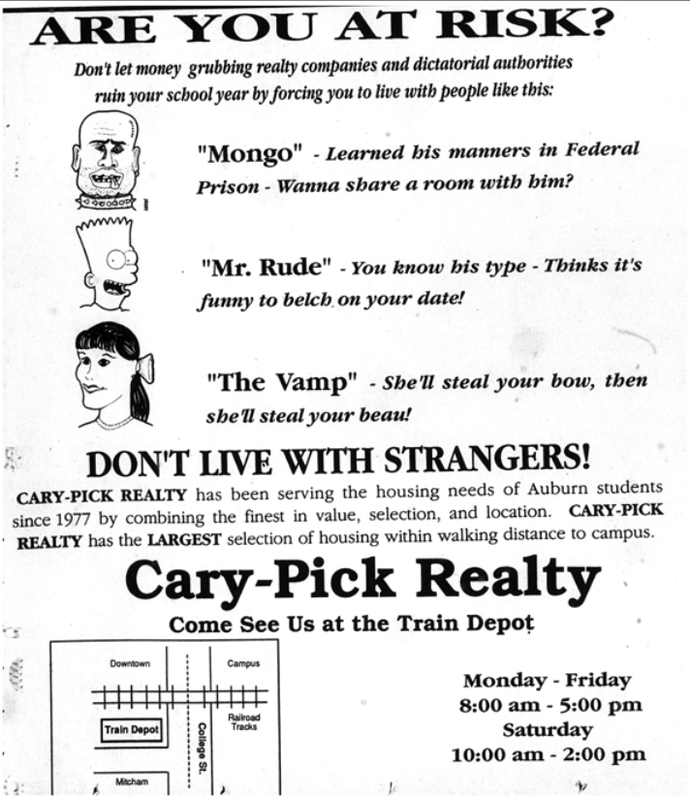 I drew those (scary) Cary Pick ads (for Andy) back in the day. I think I have most of them stashed away in a box somewhere to this day. I also did a cartoon strip and illustrations for the Plainsman. Good times! Thanks for posting!